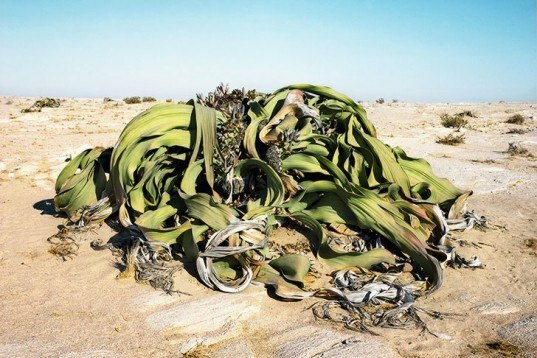 Brooklyn-based Artist Rachel Sussman travels the world in search of ancient living organisms that date back 2,000 years or more - and then photographs them before they disappear forever. In her fascinating book The Oldest Living Things in the World, Sussman documents ancient trees, lichens, moss and plants that many have never seen before. 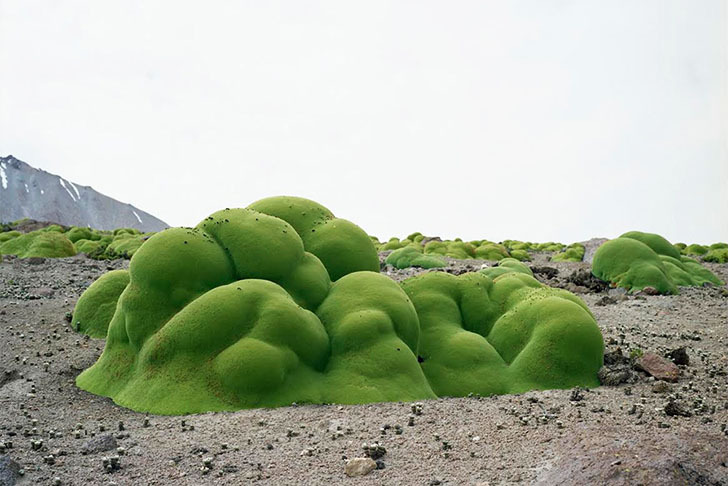 She found these lifeforms in isolated places like Antarctica, Greenland, Namibia and Chile's Atacama Desert, where she spotted this 3,000-year-old green blob called La Yareta. Rachel Sussman collaborated with a group of biologists to research and create her stunning photo project. She begins her investigation at “year zero,” photographing the past in the present. She found the oldest living things in some of the most remote places – from arid deserts in Africa and South America to the depths of the oceans. In Greenland she found lichens that grow only one centimeter every century. In Australia she spotted stromatolites, prehistoric organisms tied to the oxygenation of the planet and the beginnings of life on Earth. Her book is an insightful revelation that portrays the living history of our planet through some of its oldest forms of life – before they vanish once and for all. UNBELIEVABLE!! THIS IS THE REASON I GO ON THE NET. TO FIND REPOTS LIKE THIS AND SEE HOW BEAUTIFUL OUR EARTH REALY IS. Please add captions or make the text relevant to the picture. can you please add description of each image? Rachel Sussman collaborated with a group of biologists to research and create her stunning photo project. She begins her investigation at “year zero,” photographing the past in the present. She found the oldest living things in some of the most remote places - from arid deserts in Africa and South America to the depths of the oceans. In Greenland she found lichens that grow only one centimeter every century. In Australia she spotted stromatolites, prehistoric organisms tied to the oxygenation of the planet and the beginnings of life on Earth. Her book is an insightful revelation that portrays the living history of our planet through some of its oldest forms of life - before they vanish once and for all.